It was a season for reindeer games and, at least in Canada, reining in overspending. In its latest annual Post-Holiday Spending & Saving Insights Poll, RBC found a significant drop in overspending among Canadian shoppers this past holiday season. People overshot their budgets by an average of $384, compared to $530 in 2017. The latest number also represented the lowest level of overspending in eight years. The poll found the largest drop among 18- to 34-year-olds and women, whose latest overspending records ($363 and $379, respectively) were lower by nearly $200 relative to what they had in 2017. The number of Canadians who overshot their budgets dipped only slightly (40% vs. 42%), but a full 30% of those who spent more than they expected to this past yuletide season report having already settled their debts from their latest seasonal shopping spree. Saving continues to be a challenge for Canadians. 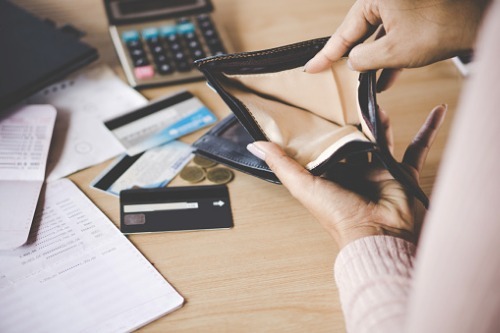 When polled on their expectations of setting aside money beyond what they are currently saving, 23% of Canadians said they weren’t saving regularly now and didn’t think they would be able to save anything “extra.” Savani noted that RBC’s NOMI Find & Save offering, which was launched in October 2017, has been helping Canadians by finding extra money that they likely won’t miss and automatically places it in a savings account. The national survey also found that Canadians spent the most on giving experiences to family and friends, amounting to an average expense of $129. That was followed by gift cards ($119), electronics ($102), and toys ($96). Lower on the rankings were entertainment ($51), gifts for pets ($29), and charitable donations made on someone else’s behalf ($28). As for overspenders with unpaid holiday bills, 30% said they would spend less on entertainment, lunch, and coffee to get their finances back on track. Twenty-five per cent said they’d cut back on day-to-day living expenses. Another 34% focused on carry costs on their credit card, committing to either off the balance on their credit cards within two months or more (20%) or pay it off immediately (14%).